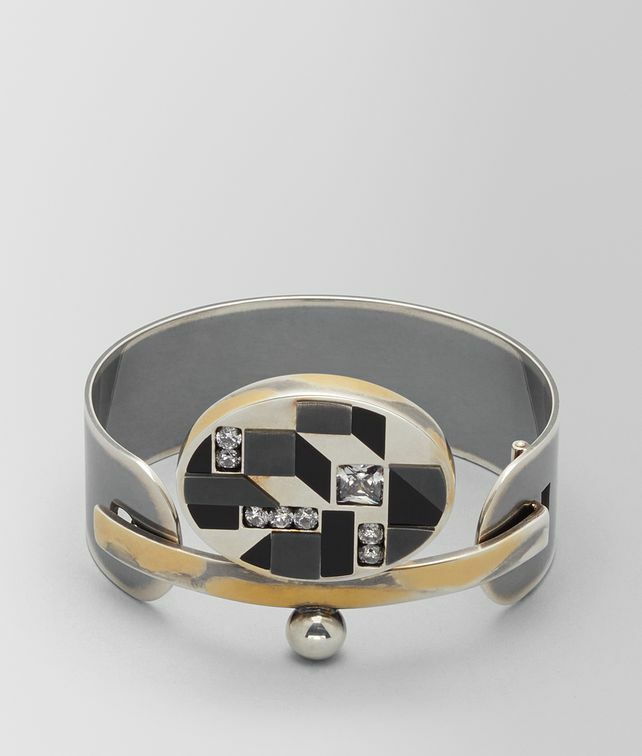 Inspired by Art Deco style and presented on the runway at our Fall/Winter 18 show, this cuff is a beautiful piece for both special occasions and every day. The sterling silver sphere is made with cubic zirconia and enamel in varying depths, creating a three-dimensional effect. Wear it with the sphere on the arm or facing the wrist for a subtler look. The curved fastening and sphere are brushed with a 24-karat gold patina. Gently push the hook side of the fastening to open and close.